Does hair regrowth treatment work? If you have suffered from hair loss, then you will know that this can be an embarrassing and very unwelcome experience. A healthy head of hair makes you feel much more confident about your appearance, so you may have wondered whether hair regrowth treatment can be an effective solution. A lot of research has gone into analyzing the effectiveness of a wide range of treatment types, and many have found that it is possible to get hair to regrow. In fact, recent research at Yale University showed that an arthritis drug had been effective in spurring hair regrowth. There are many other types of hair regrowth treatments that have also been found successful. Some medical experts advise that there are a few alternatives that will help the regrowth of your hair, such as massaging your scalp and having a diet that consists of high quantities of vegetables, fruits and vitamins. Other treatments include shampoos and products that you can use on your hair to catalyze the regrowth of hair follicles. The process involves opening up blood vessels that had previously closed which affect hair growth. The hair growth stages then develops, which involves reinvigorating the hair follicles and increasing their size, allowing thicker hair to then grow. There are many people who have tried this type of method and seen significant results. You can usually get the products for less than $100, and some companies will even offer a money back guarantee if you’re not happy with the end results. If you feel embarrassed about your hair loss or you want to try and look younger, then there are so many methods that you can choose when trying to restore your hair. Wearing a wig can be uncomfortable and quite obvious, depending on the quality that you go for, so trying to regrow your hair is a much better option if you are worried about what other people will think. Hair transplants have become more common, but they can be expensive, and generally have a limited shelf life. Hair transplants involve follicular unit extraction, which means that hair is transplanted from one area of the body, such as the back of the neck, onto the area where hair has been lost. This is said to be one of the more successful methods and you can achieve a very natural looking result, but as previously mentioned, this type of treatment costs a lot more than the readily available shampoos which have proved to being just as effective. Not many people feel comfortable about losing their hair, and it can massively reduce your confidence in your appearance. 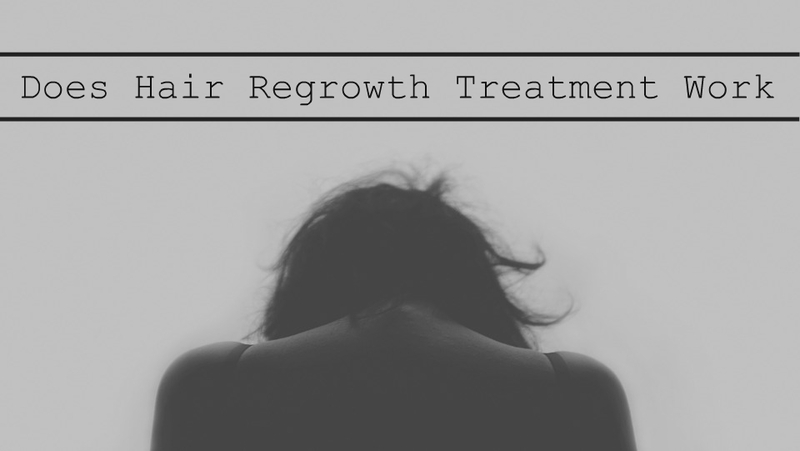 If you want to feel good about your hair again, then these are some of the treatments that have proven to be successful in hair regrowth trials. You no longer have to put up with baldness or bald patches, now you can do many things to rectify your hair loss. Start feeling younger and more self-assured today, with one of these proven methods. My SIL suffers from hair loss...well, actually, since she was a teen. It's really a taboo topic though and something we can't really discuss with her:( I don't know what she's done, although I do know she's bought a lot of the shampoos and conditioners, and man....were they expensive! My brother is struggling with this and I have a family friend who has a kid with alopecia. I definitely see the impact hair loss has on confidence level. Great post! I think that hair loss is especially stressful for women, but some man seem to be bothered by it as well, so it is good that there are options out there that can help. I couldn't agree with you more. Having healthy and thick hair does make us feel more confident. Sure, some people rock the shaved hair but most feel more comfortable with more hair. I love all kinds of hair styles and while I feel that many ladies look fabulous with a pixie, but personally I feel like long or longish hair is what works best for me. I love to play around with my hair, try different styles or braid it and I find it easier to take care of it when it is longer. Anyway, I have never tried any of these treatments, but if I ever have the need, why not? If hair loss affect us and if hair issues bother us, than why not try out what is out there? As a result of my eating disorder, I lost so much of my hair and it's thickness because of my poor diet. I think that eating a healthy diet with all the right nutrients and using weekly hair treatments such as coconut oil will make your hair look a lot healthier but not sure about regrowth. Head massages are meant to help hair to grow though so that's a tip! It must be devasting to lose hair - especially if you're a woman. Very important topic! thank you for rising it! Very interesting article Kim! You shared a lot of useful info! I'm going to share this with a friend of mine was just telling me about her concerns about hair loss. It's definitely not something most people would feel comfortable with but it's good to know that there are options for regrowth out there. I lost a lot of hair after both pregnancies, but it always grew back on its own, so I didn't need to use any treatment for it. It did affect my self esteem though, big time. Hair thinning and loss is def an issue for some women. Thanks for sharing these solutions! I personally haven't experienced this, but I have known others who have and I can imagine it to be uncomfortable to discuss because anything relating to beauty that can be seen with the naked eye can be emotional. That said, I think it's great that you're addressing the topic, which can create an open dialogue with those who have experienced this and help them in knowing what their options may be. Thanks for sharing and I hope you're having a great start to your week so far, beauty! This isn't an issue I have experienced myself, but I've known many women who have. I'm glad there are more solutions out there to try. I haven't experience hair loss, but I did have a bad experience with bleach in cosmetology school that left my hair damaged and broken off in place. It definitely can be hard to not feel self conscious when your hair is a mess! I have alopesia and have been to several dermatologists over the years then about two years ago I stopped going as I tried so many vitamins, hair balms, shampoos that I got tired. However the loss has continued and I am just trying to get myself together to go back to the derm.